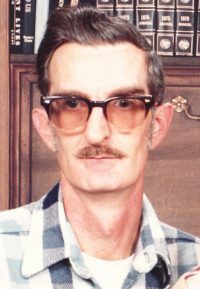 David R. Ferland – (79) – formerly of 19 Bostwick Pl., Hornell, died early Sunday morning (July 22, 2018) at the Bath VA Medical Center, following a long illness. Born April 9, 1939 in Mexico, ME, he was the son of Albert & Alice (Drouin) Ferland. Dave grew up in Maine and attended Leavitt Institute in Turner Center, ME. He was a veteran of the US Navy (1956-1960), a veteran of the US Air Force (1960-1964) and a veteran of the US Coast Guard (1964-1977), retiring as 1st Class Gunner’s Mate. For many years, Dave was employed at an apple packing plant in Maine where he worked as a “Jack of All Trades”. His job included making boxes, packing apples, loading apples, shipping apples, receiving apples and making apple cider. Dave moved to Hornell in 1982 where he resided until moving to Bath, NY in 2016. He was an avid reader, loved to take daily walks and had been a member of the American Legion. He was married to the former Sharon Robbins who died August 25, 2012. Surviving are his daughter, Edith Ferland of Hornell; his sister, Anita Richard of Maine. At David’s request there will be no calling hours or services. Final interment will be in Woodlawn Cemetery, Elmira, NY. Dave’s family request that in lieu of flowers, memorial contributions in his name be made to a charity of the donor’s choice.